Bill Bowen- Age 80, May 5, 2018. Preceded in death by his brother, Clarence B. Bowen, Jr. He is survived by his wife, Patricia Bowen; children, Sharon Fleming (Craig), Tammie Owen (Dane), Chris Bowen (Jennifer) and Steven Bowen (Lauren); grandchildren, Julie Cate (Matthew), Brooke Pilot (Brandon), Virginia Fleming, Andrew Fleming, Stockton Owen, Brock Owen, Blake Owen, Taylor Anne Owen, Cody Hux, Gray Bowen, John Brock Bowen, Samuel Bowen, Cecilia Bowen; great-grandchildren, Parker Cate, Emmaline Cate and Bowen Pilot. Bill grew up in Bon Aqua, TN where he graduated from Hickman County High School. He attended Freed Hardeman College where he played basketball and baseball. After college, he married Patricia Foriest whom he faithfully loved for 57 ½ wonderful years. He enlisted in the Air Force and served his country for eight years. Bill was a lifelong member of the Church of Christ where he served faithfully through teaching, benevolence and many other ministries. He was larger than life physically and spiritually. He was a loving husband, father, grandfather and great grandfather who will be deeply missed by his family and all who knew him. We have peace knowing he is in Heaven rejoicing with the Angels. Visitation will be from 12:30-2:00 p.m. on Tuesday, May 8, 2018 in the chapel at Hillsboro Church of Christ, 5800 Hillsboro Pk. Nashville. A Celebration of Life Service will be at 2:00 p.m. on Tuesday at the church. So sorry for your loss. We knew Bill through our Life Force family and he was always there for us. I am so very sorry to hear of your loss. I am also a member of the Life Force group and considered Bill a friend. Bill was such a wonderful Christian man and always talked so lovingly of his family. Bill helped so many people through the years and will be so missed. Having lost my husband to this same cancer last year I do know the loss you feel and send you my deepest condolences. May you find comfort in the assurance of God’s promise of an eternal home. I just learned of Mr. Bowen’s passing, my sincere sympathies to the family – especially Tammie, whom I remember fondly from Lipscomb College days. Just heard of Billy’s death, and so sorry. 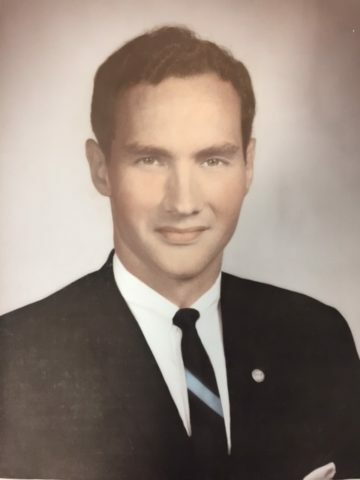 I remember Billy well finishing High School together at Centerville in 1955, both involved in Football and Basketball, etc.. Billy always stood out as being very smart and exceptional in many ways. My wife and I wish the best for Patricia and all of the Family in the future adjusting to life without Billy. I just learned of the passing of this great man and I am so incredibly sorry to hear of this. Mr. Bowen was a wonderful person and role model to all that knew him. I will keep the family in my prayers. I have many fond memories of him and what a kind, hororable Christian man he was. Patty, I just learned today about the death of your husband, Bill. I am so very sorry our 1958 class members did not know about this earlier. You have my deepest sympathy…to you and all of your family. Being in France lots of times, I hired twice from Sixt car hire. I must say, that each times I felt comfort with them! Their personnel was really exceptional. All the representatives were competent. We were given all help we needed. Not more than 20 minutes we spent to pick up our car. After booking, you’ll need just go across the road and pick your car or truck up. It was really good to see the auto that met my needs. It appeared to be the same as I reserved over the internet. Many thanks, Sixt , I obtained an excellent experience concerning auto rental .